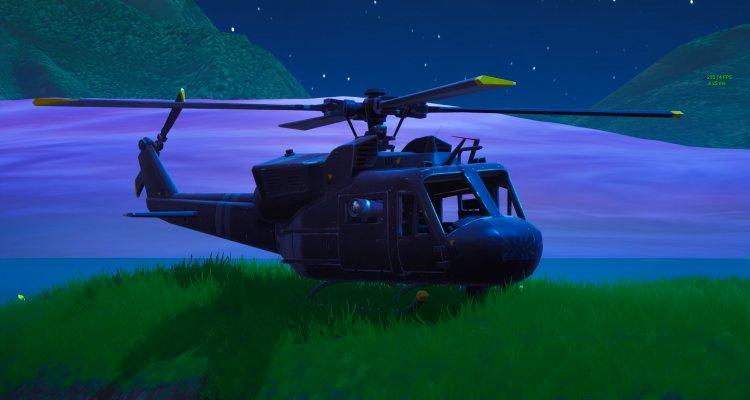 What does ‘The Helicopter’ mean in Fortnite? 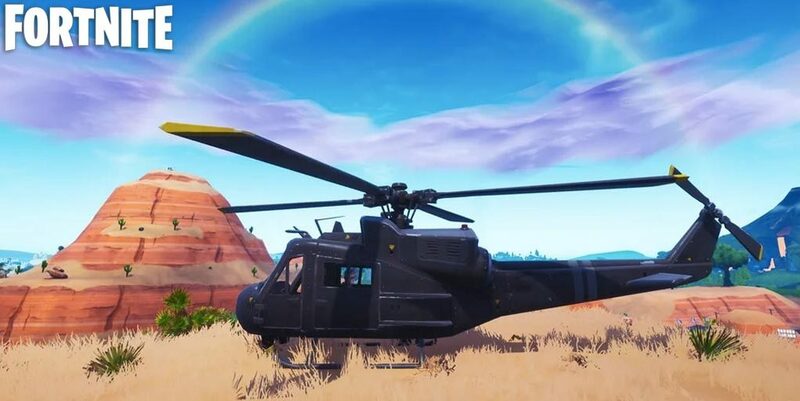 Not long after the recent V8.10 update, Fortnite fans began noticing a strange new addition to the map – an army-looking Helicopter. Players had first spotted the Helicopter to the north-west of Sunny Steps, in the area littered with Volcano Vents and smaller versions of the expedition outposts. After a brief stint there, players then noticed it had moved to a hillside overlooking Lonely Lodge. The vehicle, which doesn’t have any weapons attached or a tonne of space for passengers, has been spotted with and without black cases around – as if a team of researchers were searching for something that could be contained in the cases. Now, it has moved again. The vehicle, which cannot be accessed, is now situated on a mountain between Paradise Palms and the Race Track. What it all means is not yet known, but considering it keeps moving from location – surely the intentions of whoever is supposedly piloting the helicopter is to find something? Maybe they’ve secured a Treasure Map and are desperately searching for rare items before they are shot in the back by a team using Heavy Sniper rifles. The helicopter does not really fit in with the current Pirate and Jungle theme of Season 8 but it seems as if Epic Games are doing their best to make players aware of the vehicle by having it move every so often. Could it be an indicator of a new in-game event? A hint towards a map change or even an early reveal for Season 9? 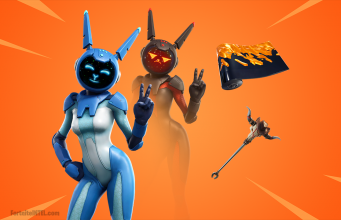 It remains to be seen as nobody is quite sure what Epic has up their sleeves. Do you have any ideas of your own for what this helicopter could be after? Let us know in the comments below, as we all work together to figure out what is going on.